The Daniel Plan is an innovative approach to achieving a better, healthier life based on the essentials of faith, food, fitness, focus, and friends. The Daniel Plan is designed to be done in a supportive community while relying on God’s instruction for living. 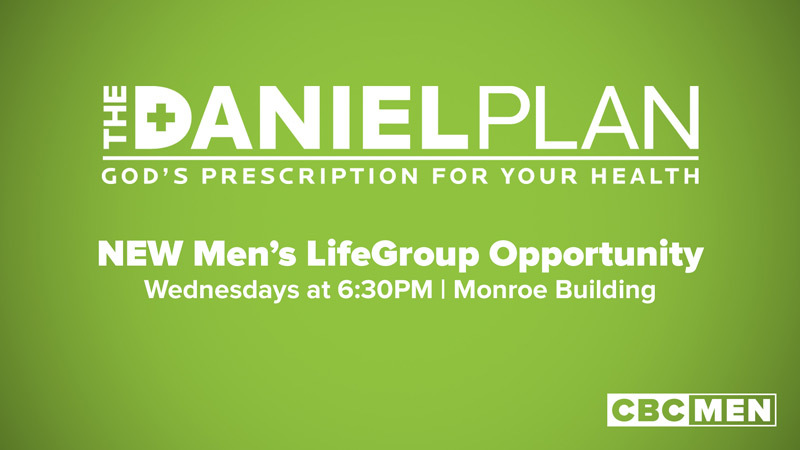 The LifeGroup meets on Wednesday evenings at 6:30 p.m. in the Monroe Building.